Do you want to learn to create your own music like composers do? Do you want to develop the ability to think musically? Do you want to become a complete musician? Do you want to enhance your worship playing? Do you want to impress your listeners during recitals with your improvisations? Do you want to propel your organ playing technique to the next level through improvisation? THIS COURSE WILL TEACH YOU EXACTLY HOW TO DO IT. Imagine yourself on the organ bench and being able to play on the spot a prelude on any figure you want in any key you want. Picture yourself having a complete freedom of your musical expression and being able to instantly recreate any cadence you mastered or any sequence you practiced before so that your preludes are interesting, engaging, and surprisingly similar to that of Bach‘s. How would you feel to be able to improvise such preludes for your friends or family? How would it feel for you to be able to create such pieces which will definitely enhance your church services? How would you feel if you could even play them during organ recitals with precision, clarity and ease? And that’s exactly what this course will allow you to do. Once a week you will receive practice material with detailed specific instructions for each exercise for 16 weeks delivered straight to your email inbox as a downloadable pdf file. The exercises are arranged in a systematic graded order progressing from the most easiest to the most complex. That's where many people fail in developing their improvisational skills. On the contrary, with my method you will be surprised how easy this learning process can be. You will also have unlimited personal email access to me during the period of this course . This is truly invaluable. If you get into any problem along the way or have a question of any kind, just ask me - I'll be always here to help you out. IF YOU PROMISE TO SEND ME YOUR FEEDBACK UPON COMPLETION OF THIS COURSE. NOTE: If you want to take advantage of this exclusive limited time discounted special offer, take action NOW before I raise the price. I can't promise you can get it at the discounted price next time you come back. 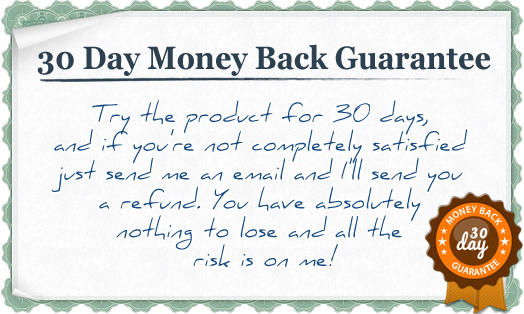 So save yourself a trouble, sign up for this groundbreaking course, study the material for 30 days, if you don't like it - all the risk is mine - you have 30 days full 100% money back guarantee - just ask for it. P.S. This program is free with Total Organist Premium and Premium Plus Memberships.